Are you part of the 8%? 2013 is 5 weeks in and we’re rolling along, tackling the biggest and most frequently set goals habit by habit. In 2012 the 2nd most common resolution was to “Get Organized” (#1 was to “lose weight”… we took that to mean changing body composition). By this point last year 40% of “resolvers” had given up already; but we’re here to make sure that your Lucky ’13 is as successful as it can be. In the series What Amazons Want we spent January learning about goal setting and habit change. Tuesdays in February and March we’re taking on the most common resolutions by turning them into goals, identifying the habits that make them hard, and knocking them down. “Get Organized” is pretty shaky ground for a goal. 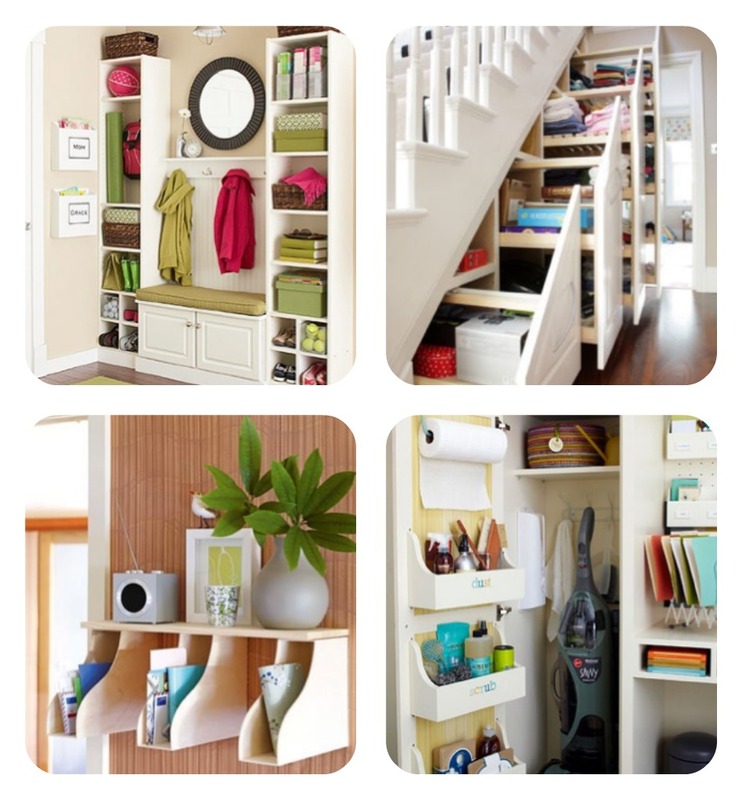 Do you want to organize your living space? Your work environment? The thoughts in your head or the files on your computer? Start off by getting specific. Decide for yourself where the line is and acknowledge that the line is going to shift once you’ve finished the project of getting there. What the hell is that pink thing on the right? We’re all smart here, and we all love books. Some of us love our books a little too much. Ladies with this problem likely have 14 bookshelves, lined 3 books deep, and 5 piles on the floor. No doubt there are a few of you out there. We wont name names. You know who you are. Book clutter is special, that’s why it has it’s own section. People who love books feel like they’re betraying them to let them go. Your collection becomes part of your family; but just like your annoying brother can overstay his time on your couch, so can a book in your home. Will You Really Read it Again? Time to be honest with yourself. Are you really going to read that book again? What does it really bring to your life? If you’re not going to read it let it go. Start with a rule. How long will you have had a book before you know you wont re-read it? 1 year? 5 years? Set an expiration date and DONATE THAT THING! What about a “just read” rule. When you finish a novel you decide on the spot if you ever want to read it again. If ‘no’, either loan it or donate it. Done! Set Your Limit. 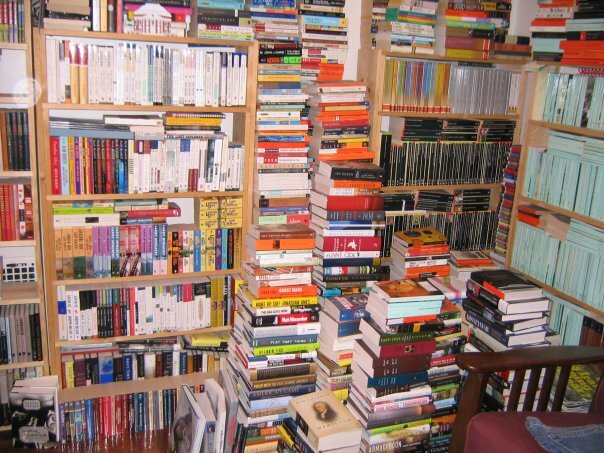 Give yourself a finite amount of space for your book collection. It will force you to priorititze. It’s very easy for your private space to become your private dumping ground; and in the process you lose your place for peace and relaxation. Bedrooms often become the lowest priority for organization, just like we put our personal time after everyone else in our lives. If you decide that your room is “sacred” it will be. Don’t use your private nook as the catch all. Choose the things you need in your private space and make sure those things have a space in your bedroom; then keep everything else out. Chuck what doesn’t fit. Just do it. Don’t dwell on that dress from college that doesn’t fit or the jeans you had when you were fat. Just let them go. The exception I make is for one key piece you can applaud yourself when you fit back into, like an expensive pair of designer jeans or a slinky dress. Be on the same page with your partner. Chances are even if you do not now, you might some day share a bedroom with another person. Be sure you talk to them about how you like your space kept (or would like to) and work together. Otherwise one or both of you might give up on trying to keep it a certain way. I’m going to job this one out to Real Simple and their series this year on Organization. In the March issue they tackle the “Command Center” of the home. Mail is a great example of a habit loop contributing to clutter. What do you do with your mail when you walk in the door? Throw it on the counter? Dump it in a pile? Whatever your answers, no doubt it’s a habit you don’t even think about. Organizing gives you an opportunity to nail down habits like this one. What do you want your “mail flow” to be like? We found mail sorters at Target, labelled one for each person in the household and one for bills, and haven’t had counter clutter since. Use the same process for keys, coats, shoes, and your purse. Decide what you want to do with these items and where they should live, then reinforce the new habit loop. How you organize your work space is specific to your work and your needs. 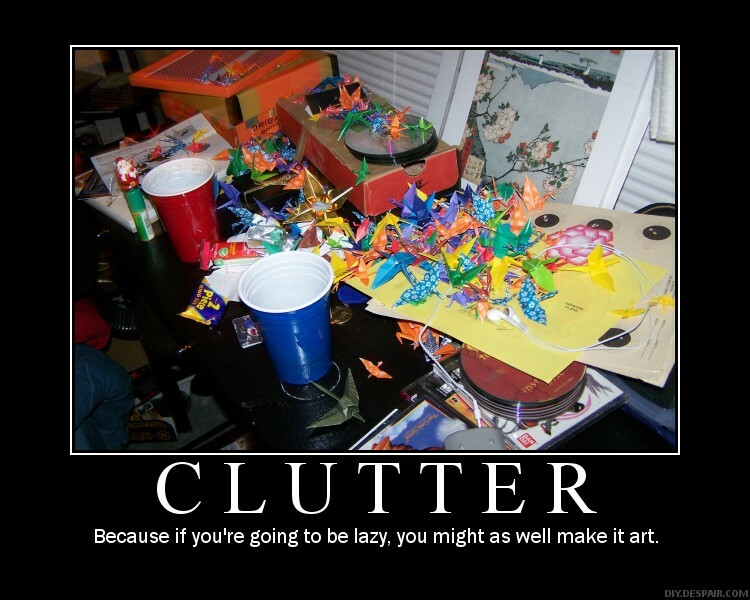 Time to ask yourself the same questions: How does your work space get cluttered and why? Do others bring work to you and just set it down? Probably not. But maybe? How can you control the intake? Do the items you need on your desk have a home? Are you keeping too much around? Start taking a look at your habit loops and prioritizing what actually belongs on your desk. 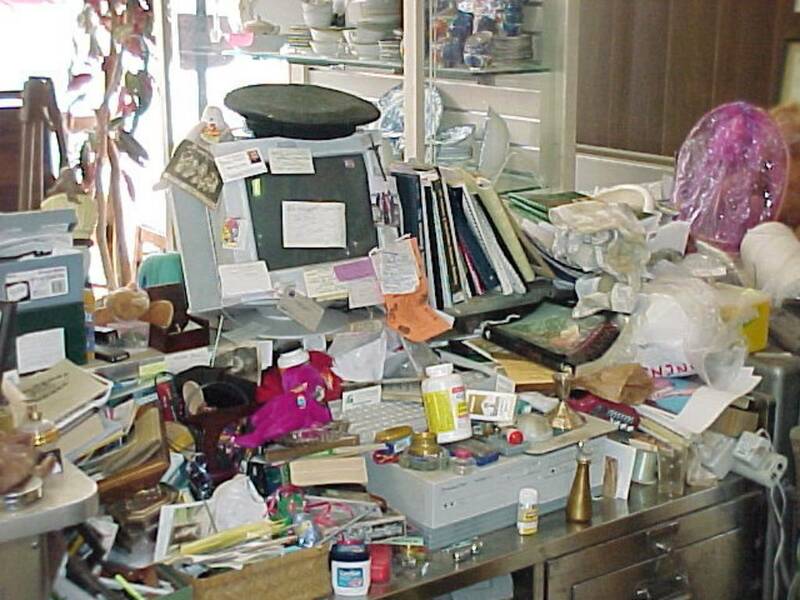 Often I hear from women that they feel scattered and disorganized, even people with a spotless home and office. Upon further questioning it’s either that their to-do list and ideas are scattered, or it’s their mental habit to be scattered & anxious. We’ll tackle them separately. Do you constantly feel like there are things you should be doing, but when you sit down to get things done your mind goes blank? Do you have trouble relaxing because you can’t shake the feeling you forgot something? You’re suffering from a forgetful to-do list. Your mental “to-do” is a siv; but don’t fret! There’s a cure! There are two resources that I suggest you check out for help. For a bit of tweaking and streamlining check out Tim Ferriss’ blog post on note taking like an alpha-geek. It gives a simple system for note taking you can model after and keep your thoughts organized. For major mental organization overhaul I suggest getting a copy of Getting Things Done, a book that has helped many many people learn how to organize their productive lives. Either one can change your life. So maybe To-Do’s aren’t your problem; it’s to-DON’Ts. You can’t shut it off when it’s time to relax, and when you should be enjoying Bachelor/Housewives/Whatever-Your-Dirty-TV-Pleasure you’re still mentally at work or running around. This goes beyond organization and right into self-care. Consider a “mindfulness” practice. For 5 minutes every day you sit and focus on breathing, the sensations around you, stretching, or any other dozens of focuses out there. This is a form of meditation intended to focus and relax you (as opposed to reaching for a spiritual goal). There are many books and apps out there, find one that works for you. Give yourself a timeline (and set aside the necessary time) for the initial clean up, then give yourself specific times over the following weeks for “upkeep”. It’s hard to begin “staying organized” without the clean slate. 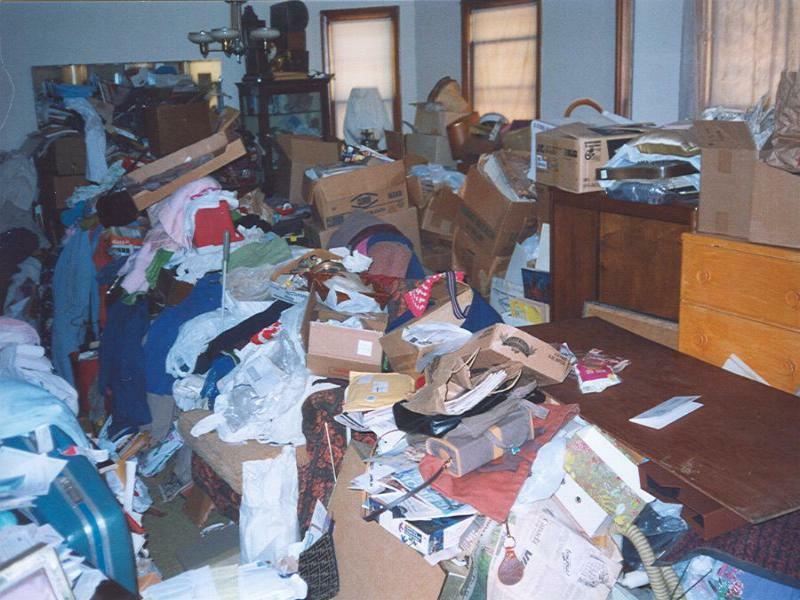 We suggest taking a few weekends to get the initial clean up done, then consecutive Sundays give yourself a few hours just to pick up. And try not to beat yourself up if by Friday night your place is a mess again. It’s going to happen. That’s your opportunity to look at where the messes have started and consider the habits that brought you there. Be willing to consider your new space and the new habits that go with it, as well as the time it will take you to adjust to them. 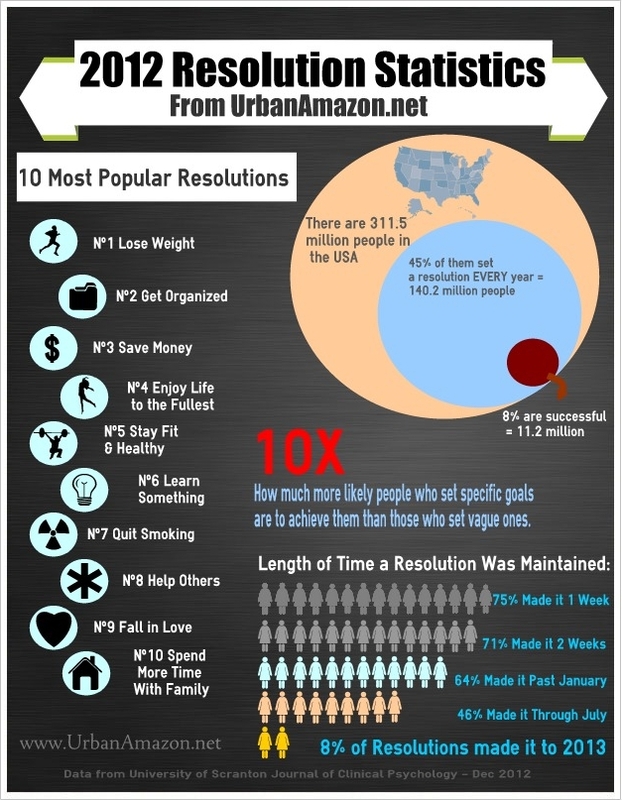 What Amazons Want is a goal setting and life change series for 2013. Visit all the posts for a variety of information on life planning, mindfulness, and achievement. Darlene McCullough is a personal trainer & health and wellness coach in NYC. « UA5k Team – Week 2: Baby It’s Cold Outside!